Purchase of a Clear Smooth All-in-One Powder from any Watsons nearby you and you will be automatically stand a chance to win. 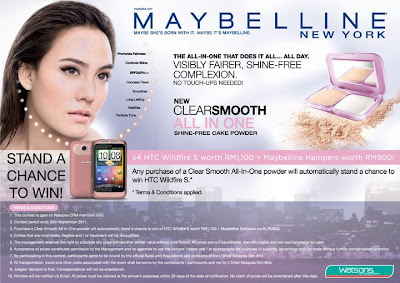 Visit Maybelline NY Facebook fan page for more detail. Meet the co-founder of YouTube, LinkedIN and investors in Twitter, Foursquare face to face! Click here for more detail.